Lawyers representing Chelsea started their appeal on Thursday against the club's transfer ban for breaking FIFA rules over the signing of foreign U18 players. In March, FIFA banned Chelsea from registering new players for the next two transfer windows, through to January 2020. Chelsea were charged after FIFA said it found breaches in 29 cases of 92 investigated. A verdict is expected next week, and whatever the outcome, either side can make a further appeal at the Court of Arbitration for Sport. The case should be resolved before the international transfer window opens on July 1. FIFA bans the sale of U18s to different countries unless they meet strict criteria. It brought in the rules to help protect children from exploitation and trafficking. The Premier League club deny any wrongdoing, and have appealed against the decision and the £460,000 fine. The hearing is due to start at 8am - with no decision expected until later this month. So far, FIFA has refused to freeze the transfer ban during the appeal process, a decision which left Chelsea "astonished". "So far as the club is aware, in all previous cases where a registration ban has been imposed by FIFA, a decision has also been made to suspend the sanction until the appeal process has been completed," the club said in a statement last month. Based on documents from Football Leaks, French website Mediapart claimed in November last year that 19 Chelsea signings had been investigated over a three-year period - with 14 of those signings involving players under the age of 18. Both Atletico Madrid and Real Madrid received bans for breaching rules over the signing of young players in 2016, while Barcelona were given a 14-month ban after breaching regulations for signing international U18s in 2014. Real Madrid's interest in Eden Hazard has been made more complicated by Chelsea's transfer ban, though Sky Sports News understands the Spanish club are increasingly confident of signing the player in the coming summer window. Head coach Maurizio Sarri says the £100m price tag touted for Hazard is too cheap, but admits he is powerless to keep him at Chelsea. 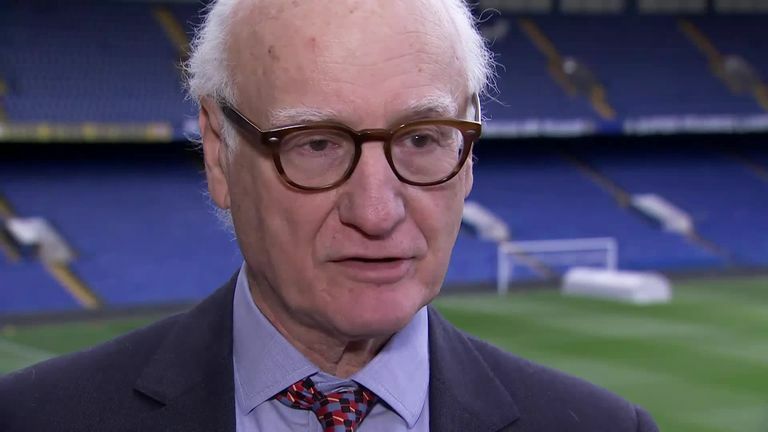 Sarri and Chelsea chairman Bruce Buck have both insisted owner Roman Abramovich remains committed to the club, despite the Russian billionaire not being able to work in the UK. Abramovich has taken Israeli citizenship which means he can visit the UK visa-free for up to six months at a time, but cannot work in the country. The 52-year-old has owned Chelsea since 2003 but recent issues with his UK visa had led to speculation he would seek to sell the club.